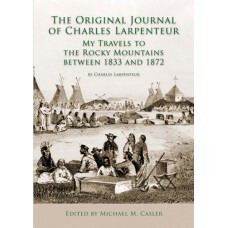 The son of French immigrants who settled in Maryland, Charles Larpenteur was so eager to see the real American West that he talked himself into a job with the Rocky Mountain Fur Company in 1833. When William Sublette and Robert Campbell sold out to the American Fur company a year later they recommended the steady and sober young Larpenteur to Kenneth McKenzie, who hired him as a clerk. For forty years, as a company man and an independent agent, the French-man would ply the fur trade on the Upper Missouri River. Based on Larpenteur's original daily journals, this memoir is unparalleled in describing the business side and social milieu of the fur trade conducted from wintering houses and subposts in the Indian country.